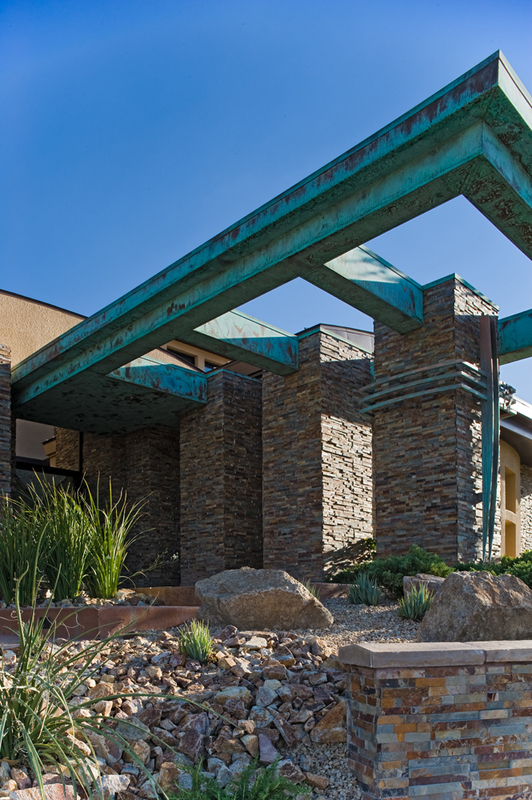 A well-designed copper roof adds a special beauty to any building. 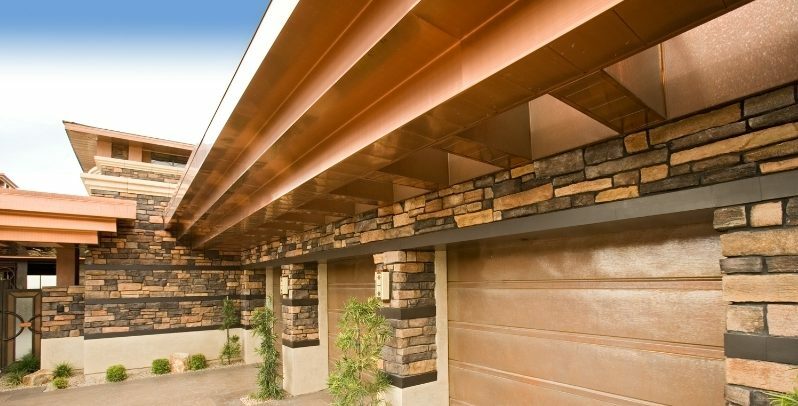 Copper roofing and fixtures represent one of the best investments you can make whether you’re looking to improve the resale value of your home, add more glamour to your place of business, or give any structure real eye catching appeal. 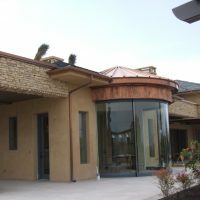 Beyond the copper roof’s beauty, style and function, the sheer durability of copper alone makes it a worthwhile addition to any building project. A copper roof will last 50 to 100 years, is low maintenance and weather-resistant, and at the end if its life the metal is recyclable, making it a smart investment in durability and sustainability. Copper only gets better with age as its surface transforms into a rich patina, taking on the timeless, rich look of the classic roofing material used on many great buildings around the world. The glowing shimmer of new copper and the dignified allure of weathered copper will add grace and character to any building for decades to come. 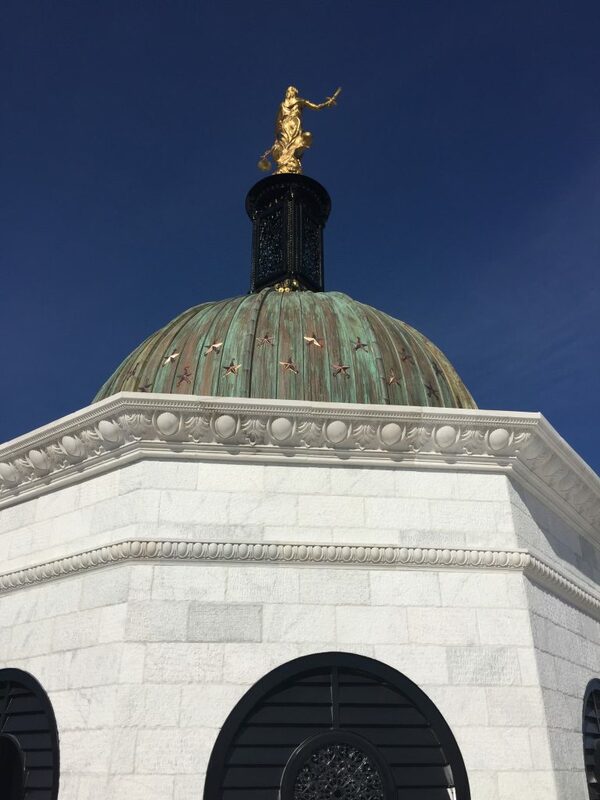 The preeminent utilization of copper in roofing fixtures, cupolas deliver grace, elegance, and style to any building. They bring with them great cultural significance while adding immeasurable curb appeal to a home or office. 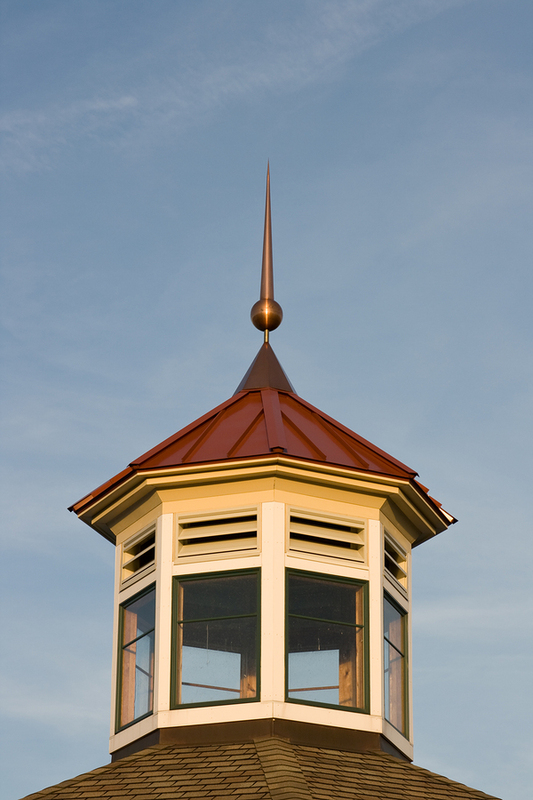 Cupolas are naturally sturdy and will add significantly to the durability of the complex structures they adorn. 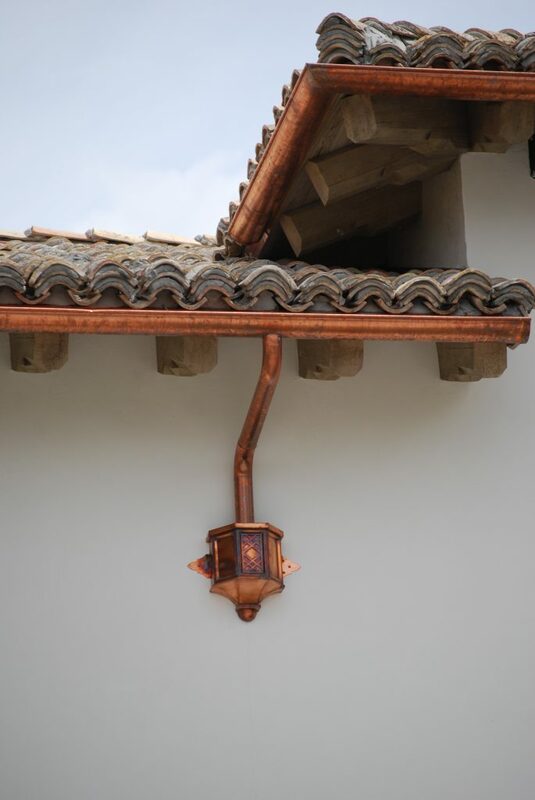 These distinctive copper roof fixtures are the products of serious craftsmen who labor for years to master their art. These handsomely crafted exterior components add immeasurable class and character to a building while protecting sensitive underlying structural components from the elements. Commercial dormers are less artistic but attractive and functional additions to the copper roof, adding height and visual interest. Add beautiful accents which enhance the architectural effect of a structure with copper cornices, or decorative roof edging. This prominent feature adds structural integrity and beauty to any building by protecting the most vulnerable parts of a roof, gracefully directing rain and snow away from the building. Cornices add visual heft and solidity to the roof, giving the building a stronger profile. Nothing spells distinction like a well-placed decorative spire or finial. These stylish finishing touches contribute a sense of culture and heritage to any building. They may come in a variety of metals depending on your design needs and can be even modified to function as a lightning rod. Replace ordinary and inferior drain gutters with a beautiful copper gutter system. Copper gutters are stronger, better able to direct water away from the perimeter. Made of durable copper, they last longer than ordinary gutters and downspouts. They add an attractive look to the exterior walls and roof line of the home, offering the discriminating designer a way to adorn all the edges of the rooftop with a beautiful copper finishing touch. These functional, practical, and handsome fixtures offer improved ventilation and admit natural light into areas that might be difficult to illuminate and vent naturally in other ways. These come in a range of styles and also offer valuable protection to a part of a building where vermin and moisture might otherwise do a great deal of damage. The workhorse of any copper roofing fixture arrangement, copper roof panels fully cover and seal the rooftop away from rain, snow, sleet, wind, falling debris and other natural threats to the integrity of your rooftop. They can be made to fit nearly any type of roof and come in a range of standard shapes and types. There is no other roofing system that will impart the same high degree of extremely long-lasting structural integrity and beauty as copper roof panels. 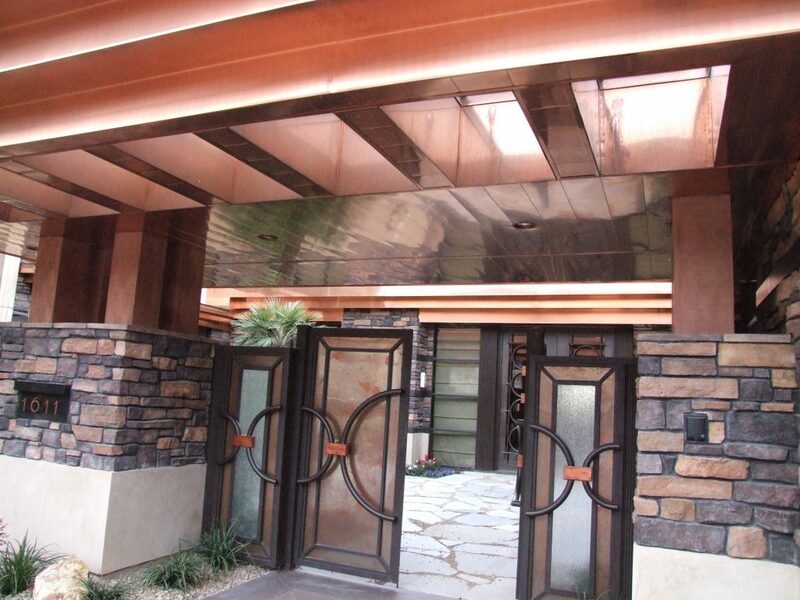 Copper panels may be used to adorn and protect custom entryways and can be fitted to almost any corner, entryway or archway to create a portal of unique beauty and design. The basic component of most copper roofing fixtures, pre-production copper sheet and coil is a good choice for architects, designers, and contractors, experienced in working with this fine material to create custom fixtures to suit an unusual structural element or to create an entirely unique design that simply cannot be found prefabricated. 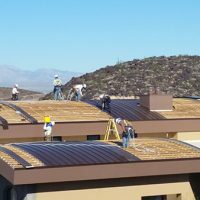 Prestige Roofing specializes in providing custom copper roofing for clients in Southern Nevada and nearby locations, including communities in Arizona and Utah. Our highly skilled copper artists prepare custom designed copper panels and fixtures in our advanced sheet metal facility. 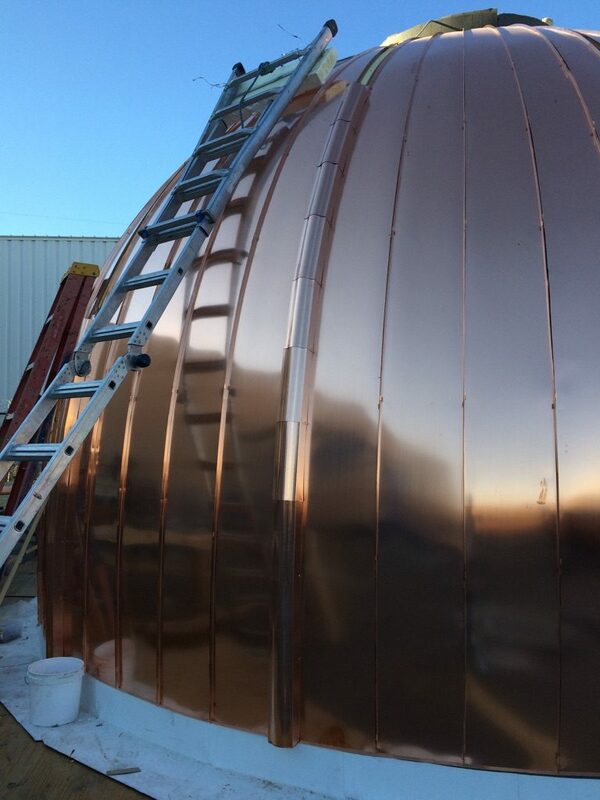 Our most recent public project was fabricating and installing the decorative copper cupola on the new Nevada Supreme Court Building in Downtown Las Vegas in 2016. For more examples of our work with copper, visit our image gallery. Let our expert copper roofing team craft, deliver and install your beautiful copper fixture or roof. 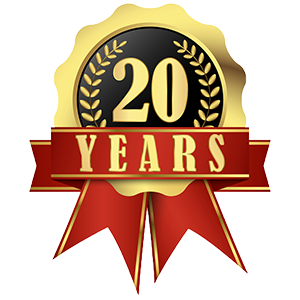 Your copper roof will be energy-efficient and provide years of service and enjoyment. Contact Prestige Roofing for more information on copper roofing and fixtures today.